Authentic grenadine silk is only made along the shores of Lake Como, Italy in two of the oldest mills in Europe. This luxury silk fabric is woven on traditional wooden looms dating back to 1928. 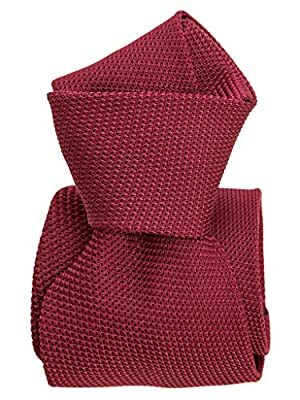 Silk grenadine has a delicate open weave which produces a tie renowned for its excellent drape. It naturally makes full sized knots with beautiful dimples using a four-in-hand knot. 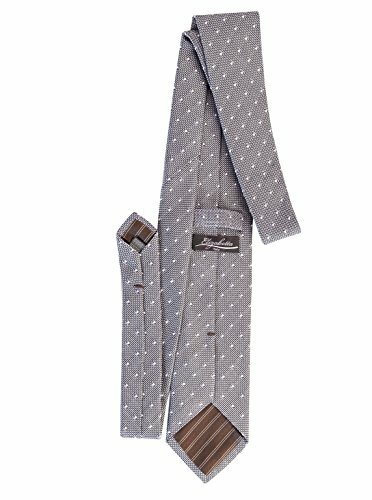 An inner lining helps to give a tie its long lasting shape. We use wool as it is more durable and wrinkle resistant than the cotton or synthetics used by others. It costs more, but we feel it's worth it! Our keepers are made of the same silk as the tie. This makes for a more durable tie. We recommend storing by hanging (rotating the position of the tie to avoid creases) or rolled in a drawer, being careful not to damage the tip. There are two types of grenadine: Garza fina, a tighter weave which produces a smoother more subtle texture and Garza grossa, made with thicker yarns in a looser weave which produces a thicker more pronounced texture. We carry both types. 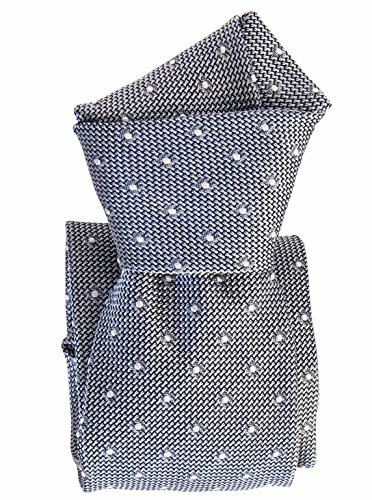 Elizabetta's neckties are hand cut and sewn, one by one in Como. We finish them with our signature pinstripe silk lining which gives the ties a more durable tip and is a mark of excellence. 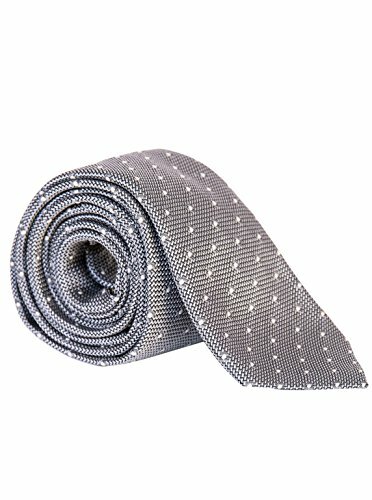 As all high quality handmade silk ties are delicate, each tie is carefully inspected four times before shipping to you, ensuring that your tie is in top-notch condition. Elizabetta Boutique brings you unique luxury fashion accessories direct from Italy. There are no middlemen, so you pay less. Founded in 2004 by Elizabetta who sources the finest quality 100% Italian fabrics and leather which are then hand-made in Italy into beautiful fashion accessories.